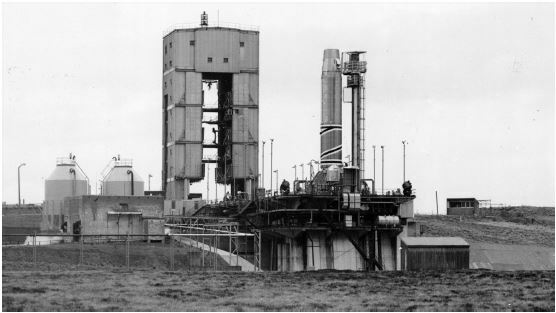 It was something of a surprise to me to learn that in the 1960’s, Britain had an advanced rocket program that was looking to launch rockets into space. Though my interest in aviation, I knew of the Blue Streak ballistic missile program which was cancelled but didn’t make the obvious leap to think of it’s civil space potential. Indeed, after Blue Streaks cancellation, the rocket was to be used as the first stage of the Black Prince satellite launcher. 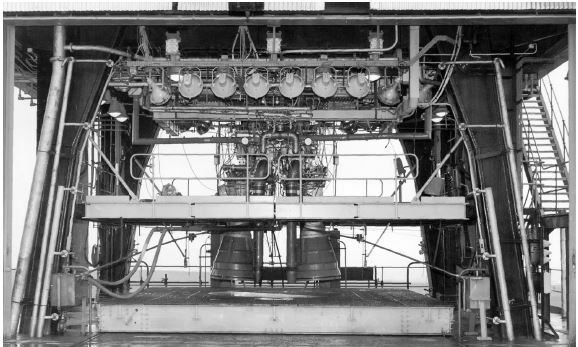 Eventually, this was deemed to be too expensive, and the future, like many other aspects of British life was in collaboration with Europe, in the shape of the European Launcher Development Organisation (ELDO). So Blue Streak became the first stage of the Europa rocket, which had 11 launches with varying degrees of operational success. However, the Blue Streak stage worked successfully on each occasion. One of the centres of development was the range at RAF Spadeadam in Cumbria. 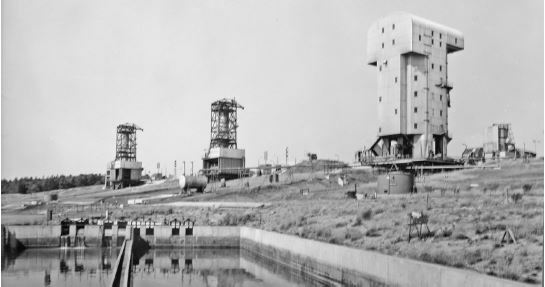 While it wasn’t used for launching (that was done at Woomera in Australia), it was a test facility, although there were plans for it to become a missile launching site. 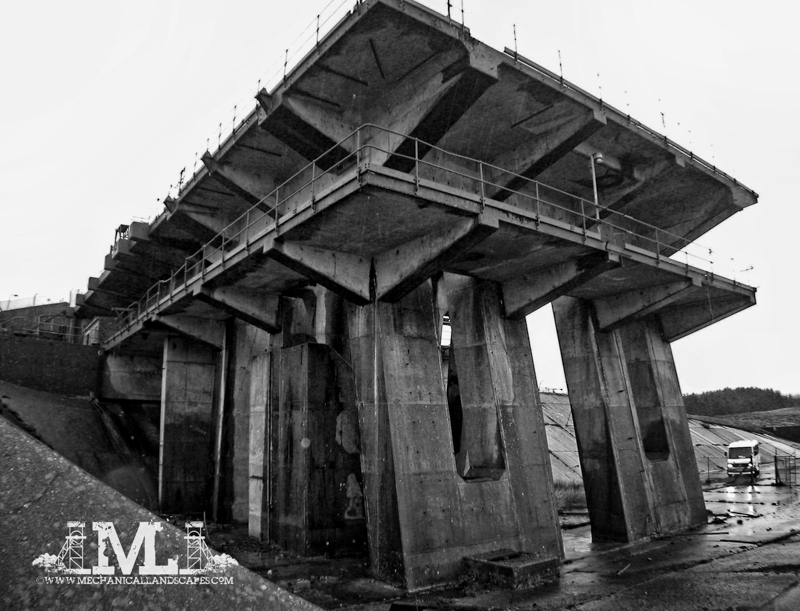 The site is vast (9600 acres) and is currently used as a test and firing range by the RAF and NATO, so its size and isolation made it a perfect location for big, noisy, secret testing. Ultimately, all of Britain’s not inconsiderable investment into rockery came to nought. Land based strategic missiles were supplanted by submarine based Polaris missiles bought from America, and although Britain later left ELDO, it went on to develop the Black Arrow rocket. This was used for four flights, the last one seeing the launch of the Prospero satellite. By that time the program had been cancelled, and so ended Britain’s space program. 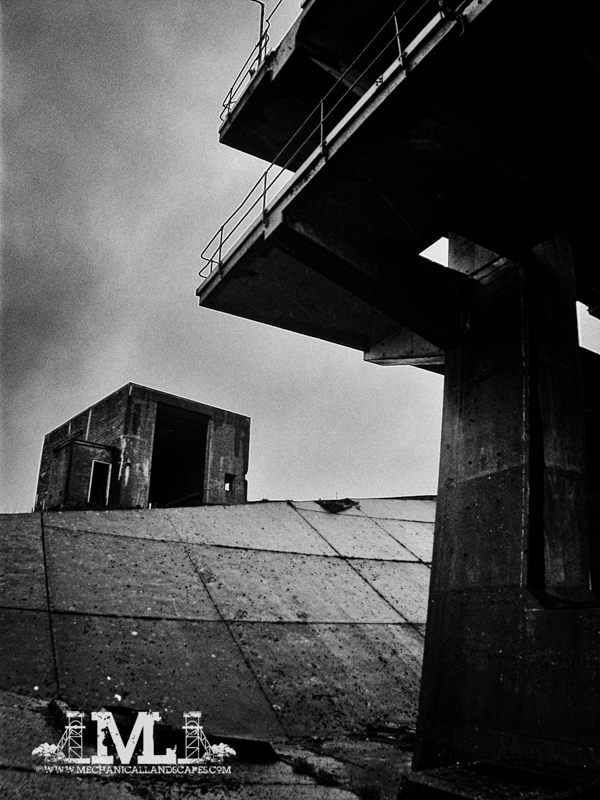 CN Hill’s ‘A Vertical Empire’ is a highly recommended book on the history of the site, and is where I have borrowed the old photographs from (the recent ones are mine). 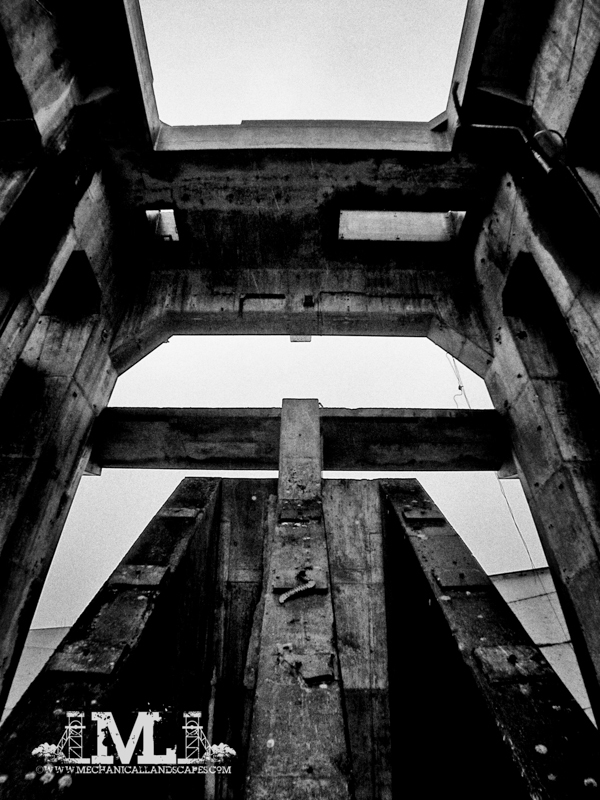 I was fortunate to go on an official visit in 2007, and while the infrastructure has gone, at least one of the monolithic concrete testing stands still exists.